Lauren: Andrea is our Super Kid for August because she is becoming braver than ever. She always reminds herself to be stronger even if she comes to school crying. She used to have tears on her face but now she is a completely different person! You can expect her to help other crying kids, by comforting them and giving them assistance. She even takes the initiative to invite other students to join the games. Congratulations! Candy: The Super Kid for the month of August is Andrea. She used to cry in class every day, but now, she’s able to manage her feelings and emotions well in the classroom. She takes new challenges seriously with a positive attitude. Runa: Charles is the Super Kid for the month of August. He is our Little Teacher in Panda Class, as he repeats teacher’s instructions and teaches his classmates on what they should do. His phonics skill is good, as he can read books by himself. I am very impressed at how much he has progressed. I hope he can keep up with this winning streak! Tom: Charles is our Super Kid for August. He has always been a hard worker and it has shown with his reading and phonics. Charles is also getting braver. He is great at swimming and putting his whole head underwater. Good job, Charles! Tiffany: For the month of August, Serena has been chosen to be our Super Kid. She is a very smart girl. She always hugs me with a big smile on her face. She always says, “I love you, Teacher Tiffany!” which truly makes my day. She has a good memory as she can memorize a lot of words. She is also a good reader, too. For this reason and more, Serena has been chosen Chipmunk Class’ Super Kid! Good job and keep it up! Braden: Serena is August’s Super Kid. She has shown remarkable progress in all areas of school life. She has shown qualities of a leader in Chipmunk Class and always tries hard at school. Great job, Serena! 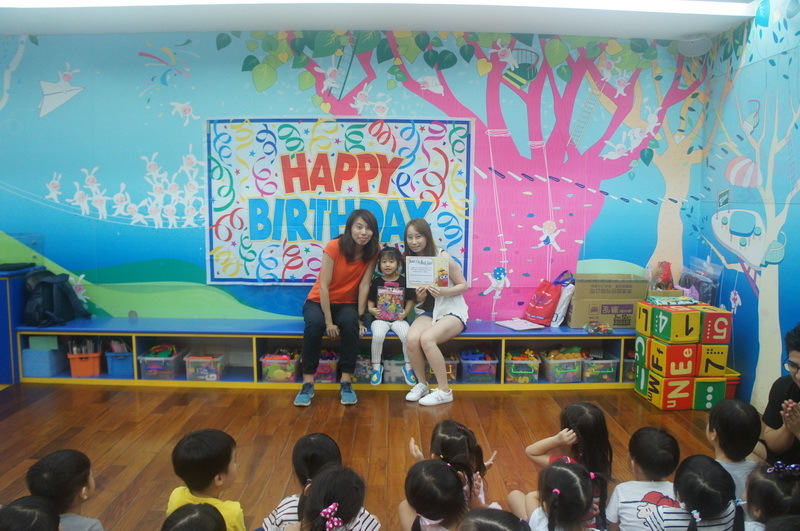 Joyce: Our Super Kid for this month is Zoe. She is a good sister as she helps her sister when they arrive to school. She comforts crying children when she sees them. She also likes to help her classmates and teachers. Everyone likes to be friends with her. We are proud of her achievements in Puma Class! Cesar: Our Super Kid for August is a student who was gone for a month, but that hasn’t stopped her from being excellent in class. She is a ball of energy and she’s been a great little helper. We are very lucky to have Zoe in Puma Class! Chelsea: Angelina is our Super Kid because she loves to help people. She learns well and fast, and she can follow instructions well, too. She knows what to do without any help at all. Keep up the great work! Jeremy: Our Super Kid for the month of August is Angelina. Angelina is always smiling in class. She always speaks loudly and clearly. Angelina is also very kind as she always wants to help her teachers and friends. She has gotten much better at following instructions as well. She is always happy and a pleasure to have in class. Keep up the good work!